What are the advantages and disadvantages of shading with parallel lines? One of the most common ways of showing light and shade on a subject is to match the pattern of darks observed on the subject with rows of parallel lines (a process called hatching). If a large area is to be shaded a conundrum soon arises: whether to use uninterrupted lines from one side of the area to be shaded to the next or to break each line into manageable units (i.e. units of length that the artist can draw comfortably). 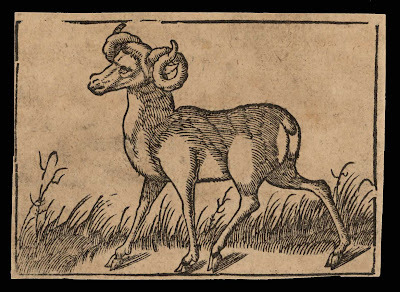 The following discussion focuses on an early woodcut of a ram to illustrate some of the positive and negative outcomes of both approaches. Condition: Strong impression with breaks in the outer borderline. The print is trimmed with fine margins and is printed on laid paper faintly darkened with age. It is not pasted down. 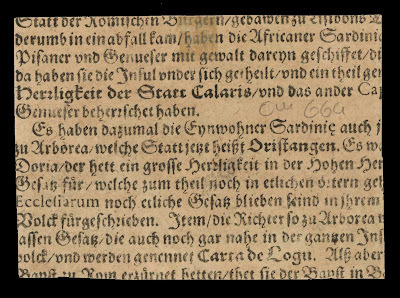 Verso shows printed text in old German, a mounting hinge and light pencil inscription. I am selling this print for $65 AUD including postage and handling to anywhere in the world. Please contact me using the email link at the top of the page if you are interested or click the “Buy Now” button. 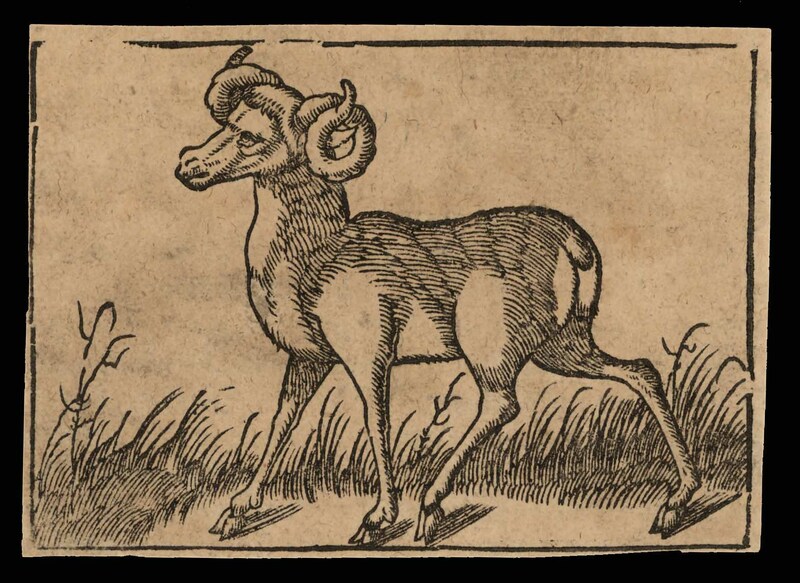 I will begin by proposing what would happen if this unknown woodcut artist had chosen to use long marks stretching from left to right across the shadow areas of the ram. Be mindful, however, that each stroke showing in the print is in fact created by the artist carefully carving away the “white areas” rather than being created with direct mark-making. 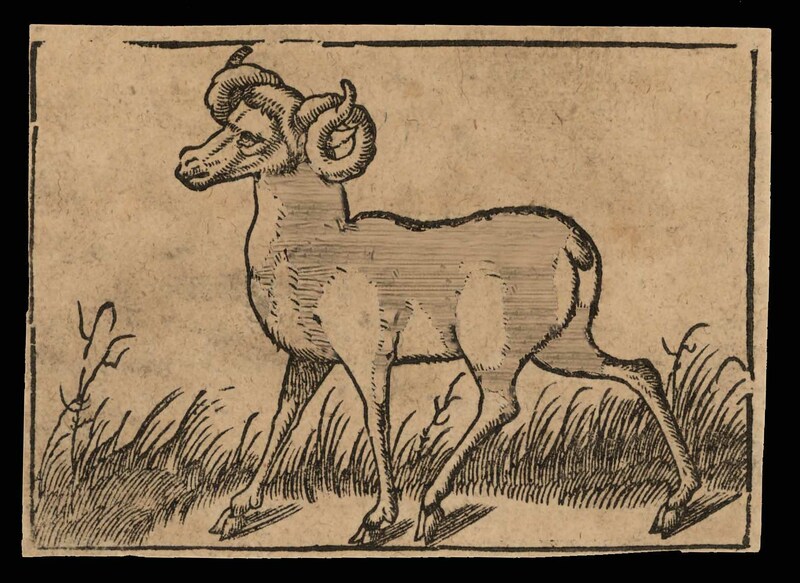 In the digitally altered image below I have used straight lines to show what happens if the short lines in the shadow areas of the ram are replaced with mechanically ruled lines. For some viewers the outcome may be desirable if they are seeking aesthetically clean imagery (i.e. images that are free of the inherent signature gestures of the artist such as naturally occurring interruptions and varying thickness of a line). 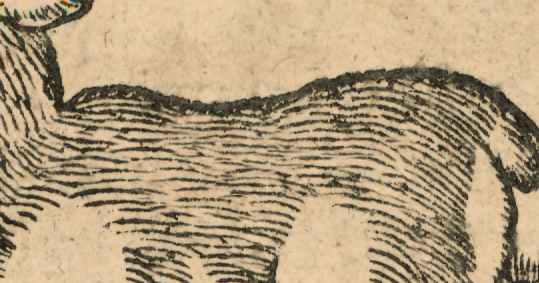 For others the continuous straight lines shown in the detail below lessens the graphic strength (i.e. the visual impact) of the image. This lessening of graphic strength can be explained partly by the lack of natural phrasing of line—the gentle broadening from the start to the centre of a line and then an equally gentle narrowing towards the end. But there is also a suspension of credibility in the mechanical look of the lines. By this I mean that viewers see the length of the uninterrupted lines as unnatural in terms of their own experiences of hand movements when drawing marks. This perception of the mechanical attribute of the lines makes the rendering style inappropriate in terms of an image projecting a palpable aura of the artist. 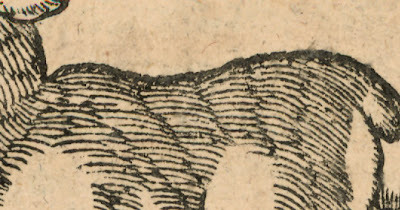 Keeping in mind the idea that a line can express a human dimension, each curving mark in the parallel shading style seen in the original woodcut can be perceived as evidence of an intuitive sense of mark-making. In short, the inherent gesture and length of mark showcases a natural way to draw. Of course, displaying natural looking marks does not necessarily mean that all natural marks are ideal for rendering shadows. In the detail of the woodcut shown below, some issues of ambiguity with the shading style may arise regarding how the artist’s marks are interpreted. 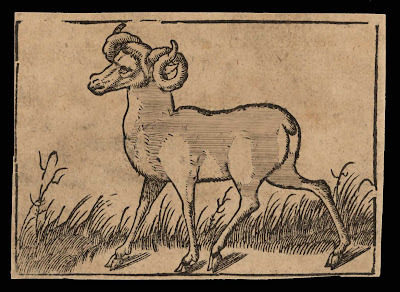 For instance, some viewers may perceive the curved strokes in the shading as contour marks portraying folds in the fleece of the ram. 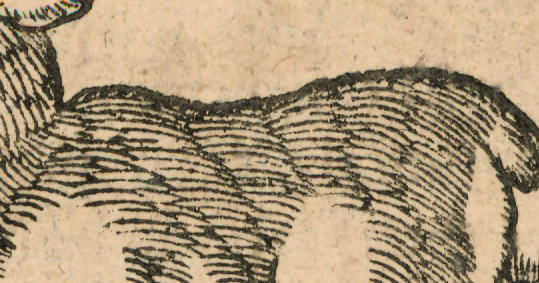 Alternatively, the curved stokes may be interpreted as surface patterning on the fleece. This is a difficulty faced by all artists wishing to portray shadows: how to describe form without the visual devices describing more than their intended role. There is a way, nevertheless, that works. In the digitally altered image below, the parallel style of shading in small marks is still employed. Here, however, the individual lines are meshed together like a random arrangement of rain drops to avoid the suggestion of folds or surface patterns. This style of hatching relates to one of the first historical approaches consisting of “short lines arranged with regularity like bricks in a wall” (Bliss, DP 1964, A History of Wood-Engraving, Spring Books, London, p. 35). With this convention the centre of each line becomes the beginnings and endings of the lines above and below. 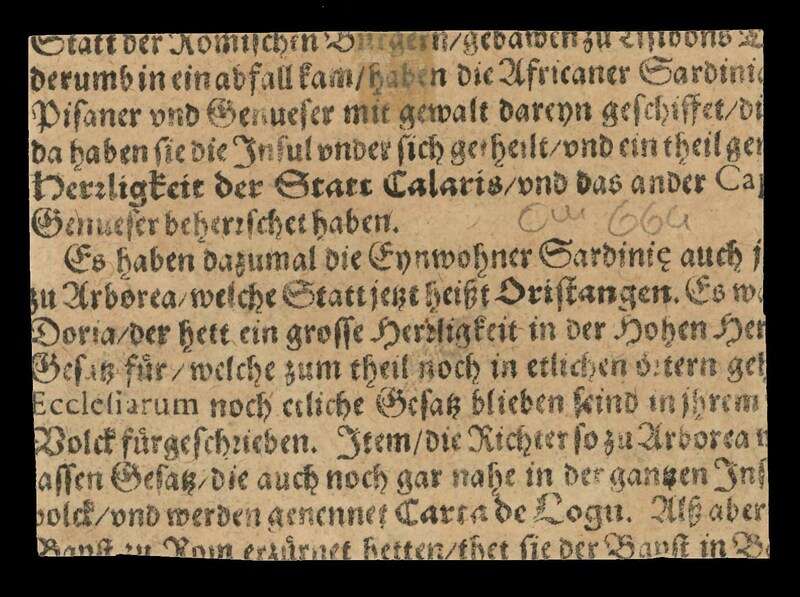 A good example of the “brick” rendering style can be seen in Bidpai’s Das Buch der Weyßheit der Alten, Straßburg, 1536.